Recognising excellence in Australian design, the Rigg Design Prize is the highest accolade for contemporary design in Australia. The shortlist for the Rigg Design Prize 2018 included ten Australian design studios working in the field of interior design and decoration. For the prize exhibition, each studio was invited to design a purpose built interior that responds to the 2018 exhibition theme of Domestic Living. The NGV asked each design studio to produce an interior capable of communicating to audiences how designers create interiors as forms of communication embedded with values, ideas and stories that directly engage with the cultural, historical, material and technological aspects of society. 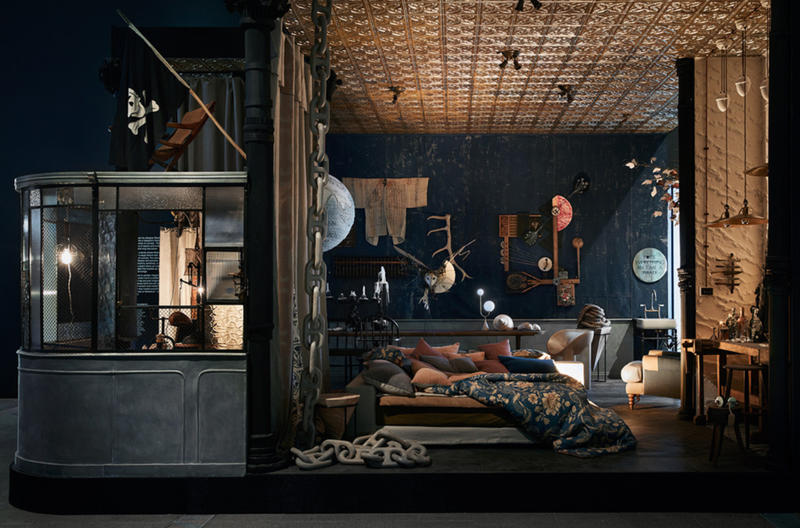 The Imaginarium by designer Sibella Court is a redefined room steeped in history and is inspired by sixteenth-century ‘cabinets of curiosity’. These small ‘wonder rooms’ house collections of objects and invited show and tell, speculation, storytelling and long discussion. The Imaginarium is a place to wonder, imagine, interact, research and create. An entire home is distilled into a room whose elements are part real and part imagined. Its foundation materials are from the natural world and are layered with textures and colours that are both ancient and modern. The space celebrates the craftsmen that created everything within it. Every object – whether found, new or fantastical – is a catalyst for memory and imagination.